On the 17th November 2017 at the De Vere Connaught Grand Rooms, London – Cruise Trade News Rising Stars Awards celebrated new and emerging talent within the cruise industry. One of the biggest surprises of the day was the “Late to Cruise” Rising Star Award winner – Forever Cruises. The award was presented to Simon Lee, Director of Forever Cruises and Lee’s Travel. Forever Cruises was founded in December 2015 by Manish Suchde, with over 33 years’ experience in the travel industry and his co-founder Altamash Parkar. Forever Cruises is a part of the Lee’s Travel Group which is a family run business serving for over 43 years. Lee’s Travel was founded in London in the 1970’s by Mr Hwee Yiow Lee and is now based in a bespoke office in China House at Wing Yip Business Centre near Staples Corner in North West London. 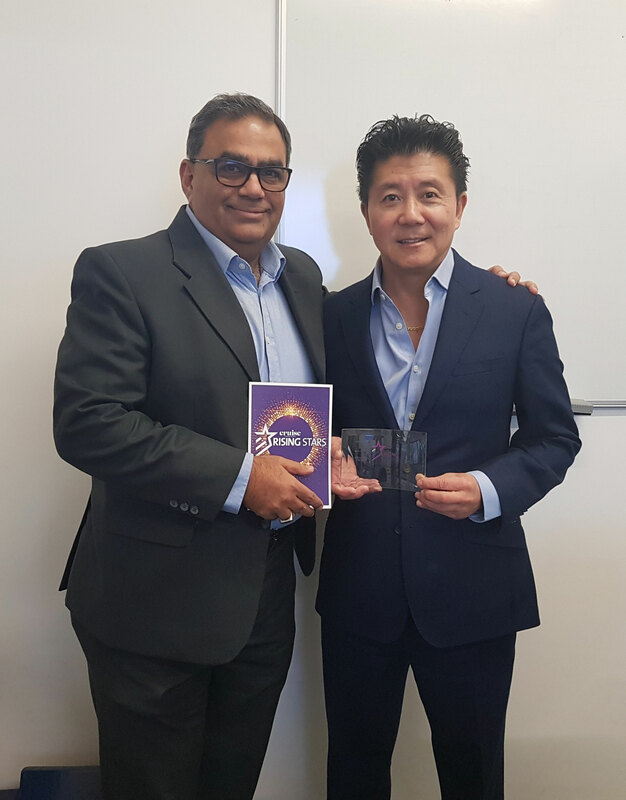 Establishing a partnership with Lee’s Travel, and with the aid of David Tan, Business Development Director, with over 44 year of experience; Manish and Altamash have made Forever Cruises a reliable, trustworthy and industry applauded company. Along with the recently won “Late to Cruise” Rising Star Award this year, Forever Cruises have won the CLIA Rising Star Award and the Royal Caribbean International's “Newcomer of the Year” award, both in 2016. They were also nominated for the “Best Cruise Holiday Retailer” at the prestigious British Travel Awards 2017.